For over 20 years, Jeep fans have asked for a pickup version of their favorite vehicles. Now, with the release of the all-new 2020 Jeep Gladiator, consumers have their wish. From the front, the Gladiator looks nearly identical to the Wrangler. It drives like the Wrangler, too. But what distinguishes the Gladiator is its open-air pickup bed. And, not only do you get a pickup bed with the Wrangler, but you can choose a length that best fits your needs, too. The Gladiator is bound to make all your longest rides in Boulder Colorado comfortable with its luxurious and upscale interior. Configured with Jeep’s world-renowned four-wheel drive system and finished with classic Jeep looks, you’ll want to drive home with a new Gladiator when you see it. Glancing at the Gladiator, you’ll immediately see some familiar features. Rounded headlights, a seven-slot grille, and the signature “Trail Rated Tough” badge are all classic Jeep features you’ll see on all trim levels of the Gladiator. 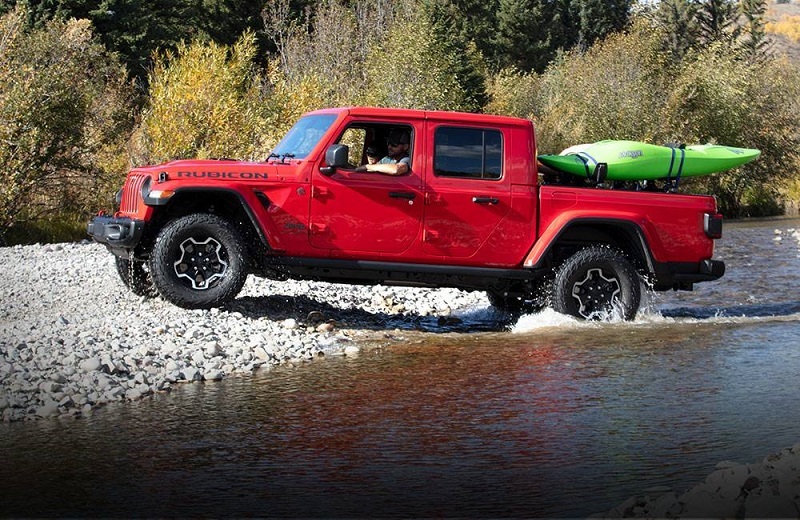 However, each trim level of the 2020 Jeep Gladiator in Boulder has a slightly different look. The base model, called the Sport, comes in 10 exterior colors. Seventeen-inch wheels are standard, but you have two options of wheels. You also have the option of ordering either a soft top or three different versions of a hard top. The windshield can also be removed and folded flat to let you really experience the wind in your hard. Heavy-duty axles in the front and back fortify the suspension system and make the Sport trail-ready. All trims come with a three-position tailgate that makes loading and unloading cargo safer and easier. The standard bed is five feet long. Even with the base trim, the interior of the 2020 Jeep Gladiator is comfortable and well-equipped. A digital gauge cluster with essential driver information is standard, and the audio controls are easy to reach. There are two color choices for the interior trim this year, which are black and tan. Cloth seats are standard in the base model, and all the instrumentation, along with the vents, are framed by rounded borders, much like the headlights. Chrome accents and an available infotainment system with a removable Bluetooth speaker are other highlights of the base trim. For your convenience, the rear seats can fold flat to maximize space. Another handy feature is that there are storage compartments beneath the front seats. 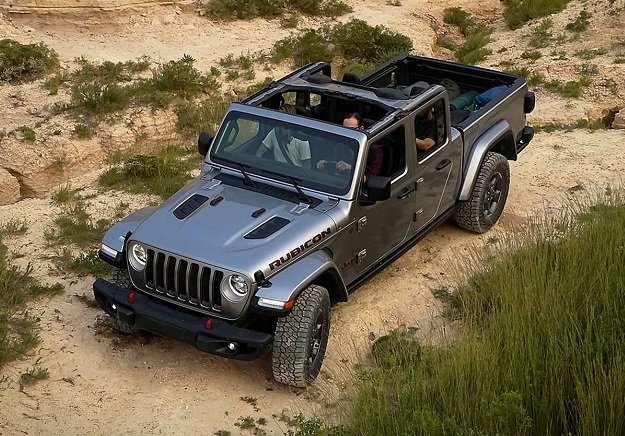 The 2020 Jeep Gladiator in Boulder stands out for its looks and interior amenities, but that’s certainly not all it offers. When fully equipped, the Gladiator features a Best-in-Class towing capacity of 7,650 pounds. Its towing capacity, which reaches 1,600 pounds, also exceeds what its competitors offer. In 2020, all trim levels of the Gladiator get the same engine, which is a 3.6L, six-cylinder engine that produces up to 285 HP and a maximum torque of 260 LB-FT. A diesel engine is planned for the near future. The same applies for a turbo-charged 2.0L engine. As of now, the Gladiator is offered with two transmission choices. One is a six-speed manual, and the other is an eight-speed automatic. Whenever the diesel engine is added, it will only be available with the automatic transmission. A four-wheel drive configuration and a 4×2 configuration are both available for all trim levels in Boulder Colorado. There’s nothing like a new Jeep if you want to hit the trails. Now, for the first time ever, you can enjoy your favorite Jeep amenities in a pickup-style vehicle. Inside and out, the 2020 Gladiator is made to impress. 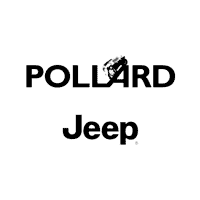 If you want to try out the latest Jeep for yourself, don’t hesitate to call us, contact us online, or stop by in person. 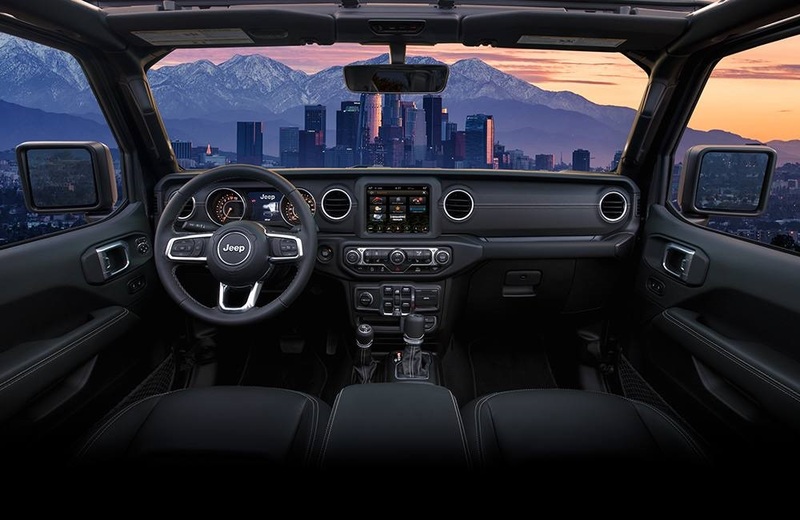 Knowing that buying a new car can get expensive, be sure to ask about our Jeep Gladiator specials available near Denver Thornton Longmont that can make owning the trim level that you want or getting the interior features you’ve always dreamed of having more realistic. But don’t wait – the all-new Gladiator won’t last long, and neither will our specials. Make an appointment for a test drive today.